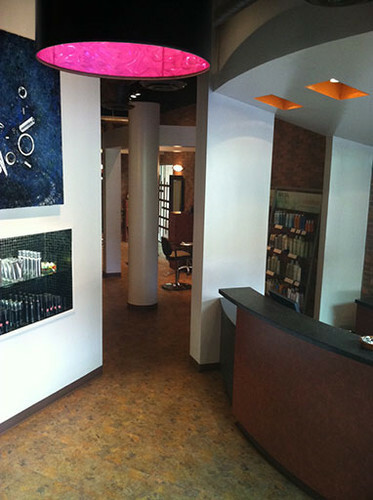 If you’ve ever been a client at Clique Salon, you’ve probably noticed a different vibe. You’ll find more of us smiling here than at other places. You’ll notice team members helping each other to stay on schedule and deliver a better experience for you. In fact, it’s not uncommon for you to receive services from one, two, or even three people before you leave, and we frequently will have multiple team members work on your consultation to deliver fresh perspectives. It’s all part of our purpose of making your day. Behold! You are about to learn our secret to happiness! Are you ready? Here it is…We use a “TEAM BASED” approach. Unlike other salons, the skills of the entire team are available to all clients. We don’t lock you into one technician. We don’t keep you on a waiting list. Meeting your needs and busy schedule is our top priority. Can’t get in with your favorite stylist or just want to try someone else? Go for it! We don’t mind. We actually encourage it! The entire focus of our team is to make sure every guest’s day is being made. To ensure consistent service quality and technical skill, each staff member completes our skill certification program. This means you can always have confidence and peace of mind, knowing that you are in the talented hands of a skill-certified team member. You’ll always receive the utmost in True Quality service and attention. Unconditionally guaranteed. So next time you feel like switching it up, just let us know. After all, variety is the spice of life!